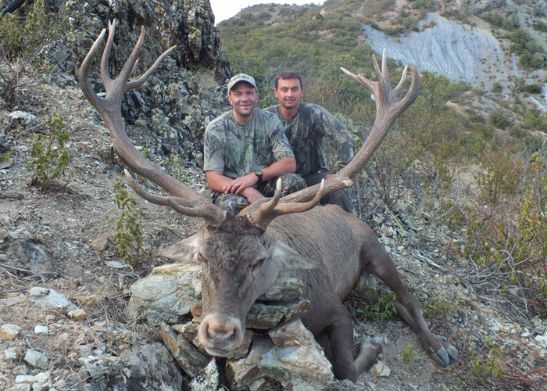 Red Deer(Cervus elaphus anatolica) in Turkey is hunted since just 6 years.Before we were not allowed to hunt these huge horned animals. The main diference of these animals from the ones in Europe they are the bigger as a body and the horns thicker. The rut time of this animal is end of September and can be hunted easily during this time.Every year we hunt huge trophies of easily over 9-10 kilos of horns and sometimes over 12-13 kilos. The record of the longest deer in the world still belongs to Rowland Ward which was hunted in Anatolia(Asian part of Turkey) with 123,8cm.